- Mr John Lincoln down, what can you tell us about childhood and religion in which you grew up? - I childhood in a small town in Pennsylvania, was born among a family prezbiteriene reformed. I was a Protestant private school. My childhood was almost idyllic. I am the youngest of the 5 brothers of mine. We understand very well between us, while being very different. My family is still a Protestant family. I, in college, I became somewhat rebellious. My shock was not entirely bad. I was rebellious against what they call "success" in society and against materialism which included the now America. - How have you known orthodoxy? - Sometimes I feel like I could speak a whole week about how I met the Orthodox Church, but try to be concise. My father, well-informed, and generally, a person with wide views, that I saw many horses struggle. 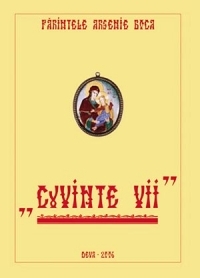 He noted however that reading and writing became interested Parents Church (St. Atanasie the Great, St. Ignatie of Antioch) and religious history of the Eusebiu Cezareea books that just brought on near the house. " He gave me a book written by a Protestant about the Orthodox Church, and it seemed to me very interesting and quite accurate. The book was named Eastern Orthodoxy - a Western Perspective. Certainly it contains some mistakes in terms of Orthodoxy, but, however, aroused my interest enough to visit the nearest monastery church, which was not common foundation other than the Father Roman Braga and Princess Ileana of Romania (Mother Alexandra). I was the first time in an Orthodox church and I felt at once the fullness of peace and severity Mr here. From that moment I gained a great respect for the Orthodox Church and I, though still unclear in my mind, a big difference between this and the Catholic Church. Little by little, during 2-3 years, I simply love the Orthodox church services and I felt a strong desire to experience how little monasticism, on the one hand because I was too screwed up in that time and on the other hand, because all my apropiatii were Protestant or Catholic, while I felt in my wits ortodox. Was very moved by monasticism, Athos went in, hoping I duhovniceasca depth of life, and in this, I was encouraged by monahii athoniti to receive baptism. I was baptized in my youth as a Protestant, but when I became Orthodox in America, I was told, with patience, to receive only mirungerea. It was a cumpana for me, but in the end I decided that I will baptize. I lived Cutlumus Monastery, where I state that dokimos and parents I was baptized in the sea, in the place called Kaliagra, which means "good fishing. What can I say? Parents are really people saints. I was very sad to leave them, but at the same time I felt able to become a monk athonit. Now I trust and pray that when the time comes to leave this world, Father, Son and Holy Spirit have pity on me and pass me to taste of that grace and peace in that. We confess that a week after I received the baptism Athos, I was in heaven. Please ask for me, because now I am far from living in that grace. - What can you tell us about your conversion? - I believe in a further conversion. It lasts all your life. It is a passage from death to life. Again I feel like I could go on forever. 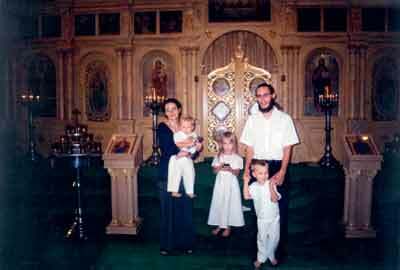 So many and so many things have worked closely with the grace of God I go to the decision to become Orthodox! But now I am truly orthodox? When I relate my life, I do not think I could call myself Christian. I think all, but only with my mind. My heart is very far from God. Orthodox is someone whose heart is cold and no heat grace? Well I fully converted before the death. To be a little more concrete, when I began to understand prayer and to pray more, I realized that the church has preserved the tradition and lived the deep experience of prayer as possible. She alone, in addition to all other Churches, proclaims that God became man so that man can become God. Just as she said theologian is one who truly pray. But it teaches us that we must go on ourselves preconceptii about their God to us appropriate for him. Only the Orthodox Church teaches us that the mind needs to be linked with heart. All these things are clearly based on Scripture and Saint, in the historic Church only keeps them without mistake. - Meeting your monastery Mother Alexandra think that will give an impetus to learn more Romanian orthodoxy? How did you come to Romania? - This is another tough question and I need more time to respond. But I will be brief and to the point. I met some Romanians when I was in Greece, and I felt a desire to visit Romania, or even to go there to study theology. I was impressed by what church suffered under communism and wanted to get close to true saints. I heard about Father and Father Sofian Cleopa and about N. Steinhardt - true Christians. When I met her on the Camel, which now are married, I decided in the end to come to Romania and see how things stand. " - How Americans relate orthodoxy? - America is dominated by polemic between Protestant and Catholics, but the world seems to open and another alternative. In general, the Orthodox Church is seen rather as a part of confesiunii Catholic. Most Protestant (and even some Catholics) consider this as a mere subdivision of confesiunii Catholic. However, I've heard from many people that the Church win every day more and more believers in the Protestant or Catholic. Church is the place of honor among many Americans because it is founded in Christ truly and well anchored in reality. - How you see things now in Romania? - I was well received at the Faculty of Theology. In the first year I was at home, and my room was high. I have never met other Romanians to eat that many fries ... People were very helpful and encouraged me. For me it was an indescribable emotion I had teachers whose parents were the spiritual puscarii for their love towards Christ. I was simply amazed. I saw Father Sofian, I was a little talk with Father Iustin Parvu. We have teachers who had duhovnici Staniloae the Father and the Father Sofian. Sometimes angry, I can not understand how many do not understand what is great honor to have such people in the middle of it! Parents Galeriu, Staniloae, Sofian, Cleopa Ilie Lacatusu, Boca Arsenie not died - they are with God! I glad they are Romanians, but I'm glad they are saints! 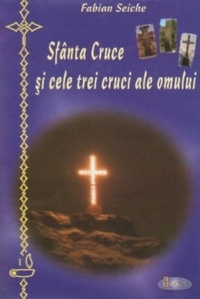 - It may make a comparison between the Christian and American Romanian Orthodox world? - What are you future plans?